As this is the first post of BlogMyLife, I feel like it would be best if it was about me. This will help you get to know me. However, I do want to point out that I won't be sharing my name or anything to personal as I want to stay anonymous for the time being. You may be wondering why I started this blog and why I want to stay anonymous. But its not a really interesting reason why. Its just because I thought it would be a good hobby to have and I'm just not confident enough to share who I am. I want to change this one day though. 1. Most people would normally start with their name, but as this is anonymous, ill start with where i'm from. So I live in Wales, which is in the UK for those who didn't know. I live in the south/west in Pembrokeshire. I have lived here my whole life. 2. Even though I live in Wales, I cannot fluently speak Welsh. Pembrokeshire, is also known as 'Little England Beyond Wales' because the majority of people speak English. 3. When I was a baby I managed to crack my head open from climbing out of my crib. However, if I hadn't have turned when falling I would have broken my nose. I also removed the stitches that were put in so I had to have them done again and I ended up walking on the same day. 4. I want to travel when I'm older. I defiantly want to visit places like Toronto, New York, South Africa, Bali and Los Angeles. Ive been to London before and I would like to go back. 5. I love taking pictures, especially of sunsets and nature. Thats pretty much what my Instagram consists of. A lot of the time I will just stop in the street to take a picture. 6. In the UK we do GCSE's at the age of 15 and 16. I've completed mine and thankfully achieved all of mine at grade C and above. This was in all my subjects including Maths, English and Science. 7. My favourite singer/song writer is Shawn Mendes. If you don't know who he is, you have to check out his music. For those of you who do know who he is you have to agree that he is amazing. 8. I LOVE to watch YouTube. I've started to prefer watching smaller channels and not just Zoella, PointlessBlog and RomanAtwood. My favourite YouTubers are Ellie and Jared, SacconeJolys, ThatcherJoe, ThatsSoDorothy and Sam and Nia. 10. 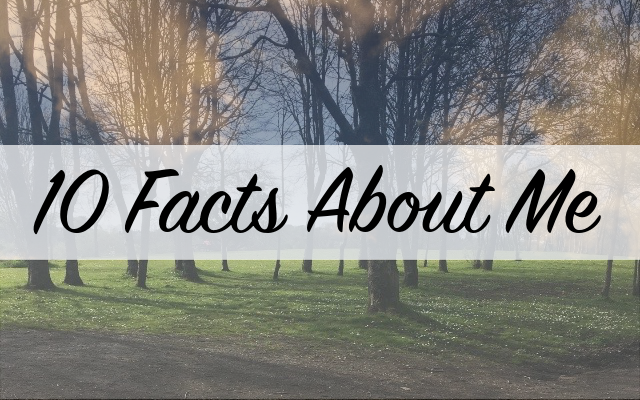 This was meant to be 10 facts, hence the title, but i really cannot think of 10. I am not the most interesting person so 9 was hard enough. Im not one of those people who can easily write about themselves so 9 will have to do. So thats all the "interesting" things about me. I hope you enjoyed reading it. If you want to live my life in written form, you can subscribe or find me on twitter - @BlogMyLife321 - to know when I will next post. I also want to put a quote at the end of every post I do, in hope that it may inspire just one person that may be reading this or someone who has actually made it to the end of the post. This is an amazing first post! Keep it going!